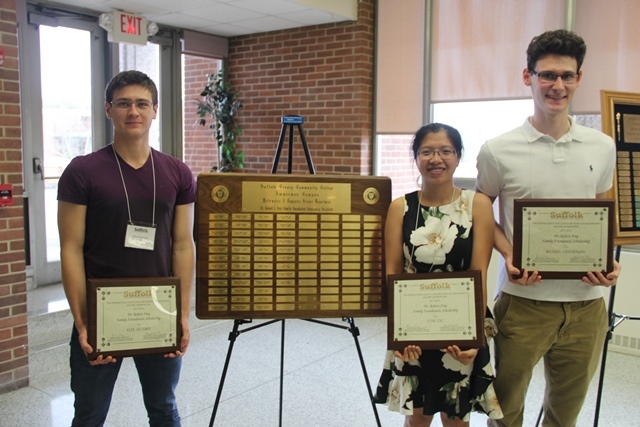 Scholarship recipients with emphasis or planning to embark upon a career in math-related field. 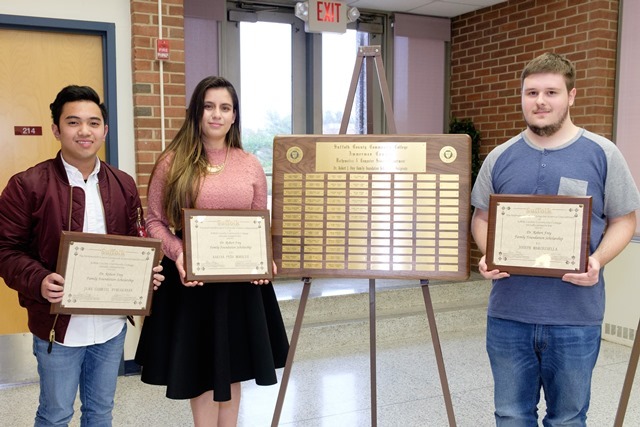 The Frey Family Foundation Scholarship awarded to mathematics majors provides $20,000 per academic year to deserving students. 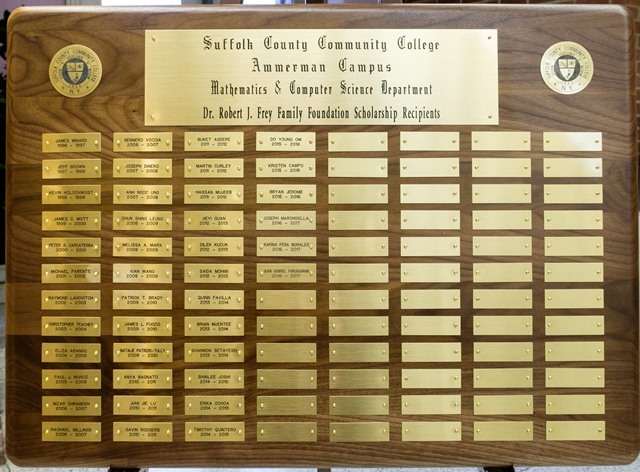 “The scholarship has provided nearly $270,000 in awards since 2004 to 30 students,” said Sylvia A. Diaz, Ph.D., LMSW, executive director of the Suffolk Community College Foundation.